Manual and Spec Sheet are previous versions. No Special tools require for Thor high power inverter kits. 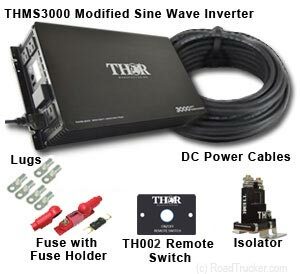 choose Thor Inverter Kits for a quick, easy and safe installation. All 3 Kits contain a Thor Inverter, 2 10 ft lengths of 3/0 power cable, a Thor remote switch and wiring lugs. These are the minimum you will need to install your inverter. 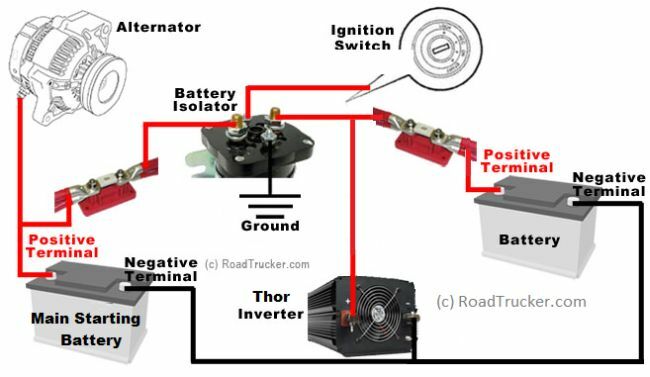 RoadTrucker recommends that you consider Kit 2, unless you have a 300 Amp fuse to protect wiring and Inverter from possible shorts. Kit 3 also includes a Thor battery isolator which will keep your main starting battery from being drained, should battery voltages drop below 12.7 volts. Kit 1 & Kit 2: 23 lbs.